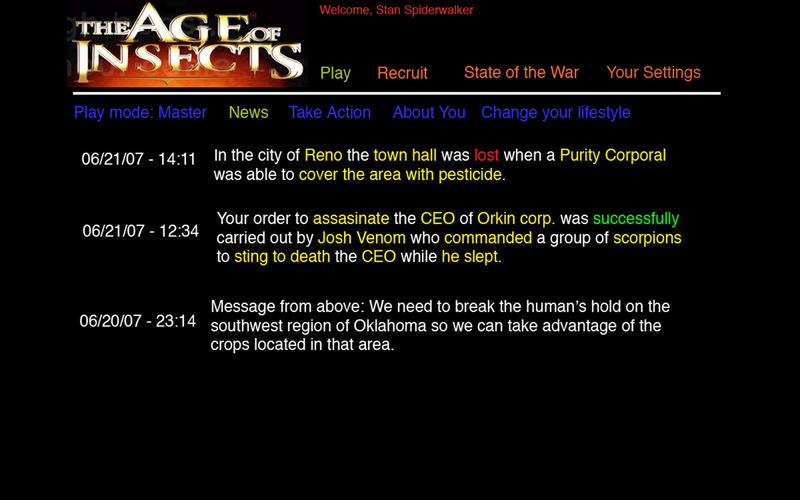 Age of Insects: Turf War was a concept for what I call a virally-spread, web-based Massively Multiplayer Online Game. 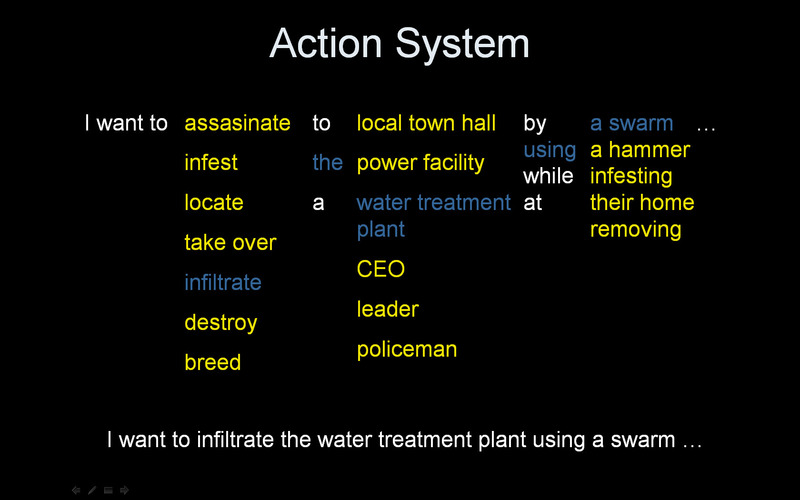 The task was to create a "freebie" game to generate interest in the upcoming graphic novel series The Age of Insects. My concept was to create a game where the strength of a player in the game was derived from how many other people they signed up to the game, in a way similar to network marketing. 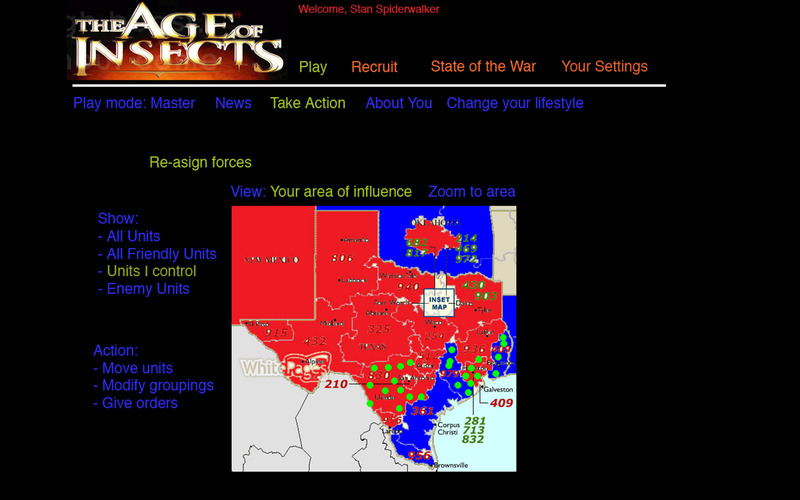 Also somewhat similar to many popular Facebook games today. Because the graphic novel series revolves around a silent war between human federal agents and insect-human hybrids, the game world was a representation of the real world with players fighting an "unseen" war for their local area. 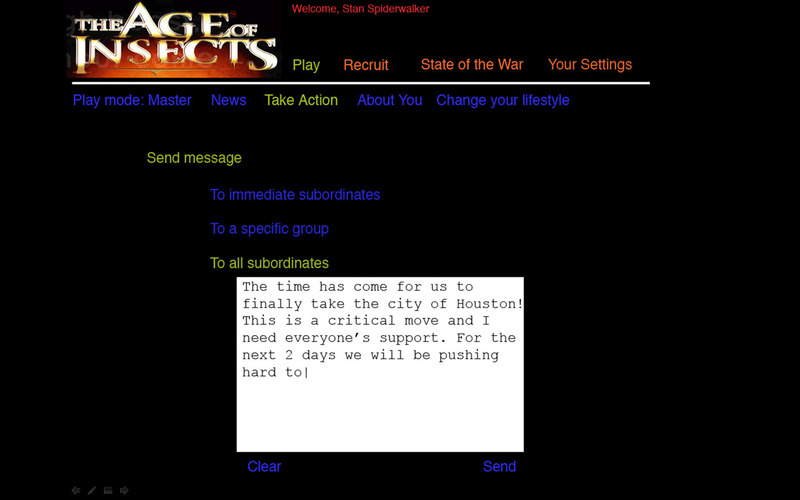 A web-interface served as the primary method of observing game state and action interface while email served as the way the players were updated about events regarding them when they were not playing. While this project was not given the green-light due to the client wanting to go in a different direction, much pre-production and design balancing was done and could even be fitted to another IP with minor modifications. These days it would even be appropriate for mobile devices.